It was a long time dream to have our dogs live a life closer to the life we live. If we eat premium cuts of meat, enjoy a sweet every now and then and watch movies with popcorn, it is only fair that our fur babies can do the same. Dogs been ‘allowed’ in some cafe’s but more often than not they are left outside tied to a bicycle pole while the owner pops in to grab a coffee. We didn’t think this was fair for our best friends so we created a destination that is centred around dogs where hoomans are welcome. 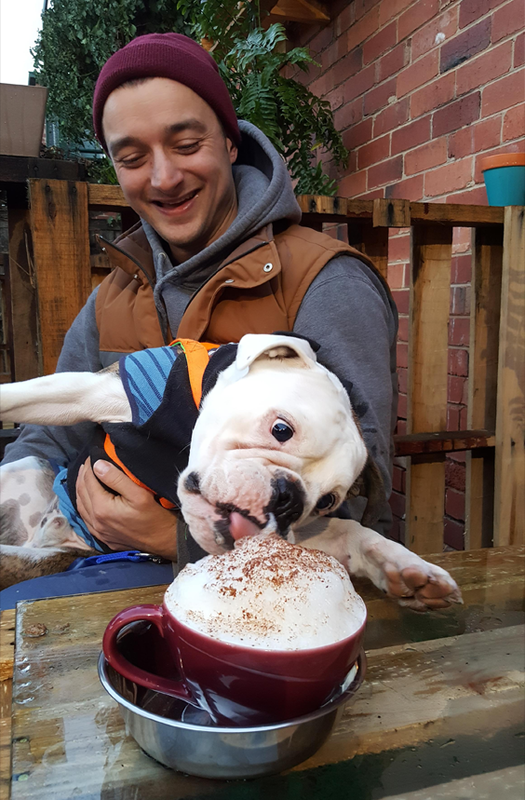 When you pop in, grab pup a signature dogachino and muffin!